Windows consider the left side of the wall to be the outside. Reverse the direction of the wall and the sill will flip around. Can you post a file with just the wall and the window? Have you checked that you have your wall components ordered the right way around? 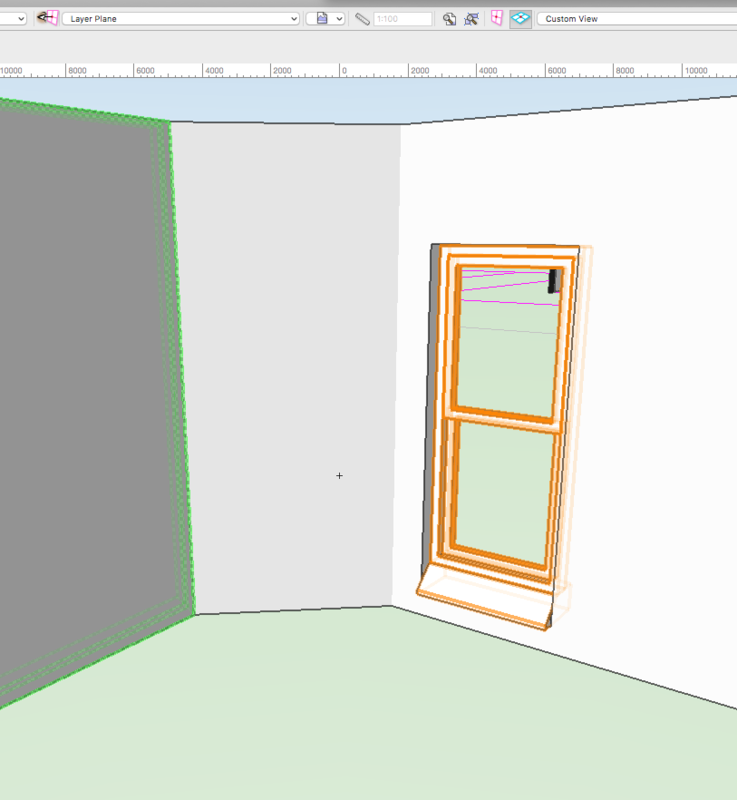 Hi, thank you michaelk, I've checked the wall components and they seem to be ok, nevertheless, here is a file with one of the walls and the rogue window. You could set the wall to render by component. Then go into the resource manager, and edit the components to either have a texture or use a class texture. The first component on top of the list is always the left side of the wall. It's confusing at first. Post back if you have more questions. Hi Michaelk, thanks for the answer, I didn't create the wall style so I was suspecting the components were to blame, thank you for your help, I'll create a new wall style from scratch so I will avoid this problem. None of the components in that wall have a texture. The only texture is applied to the overall wall itself. Making a new wall style would fix, but you could also just reorder the components of the existing wall, by editing the wall style. Invert the order of components by dragging them.